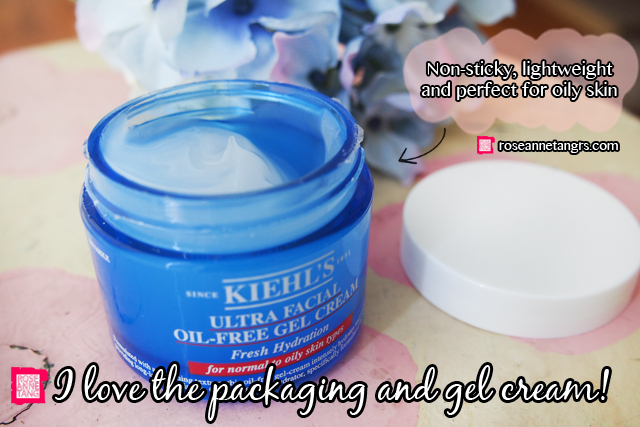 Review: Kiehl's Ultra Facial Oil-Free Skincare Range for Oily Skin! 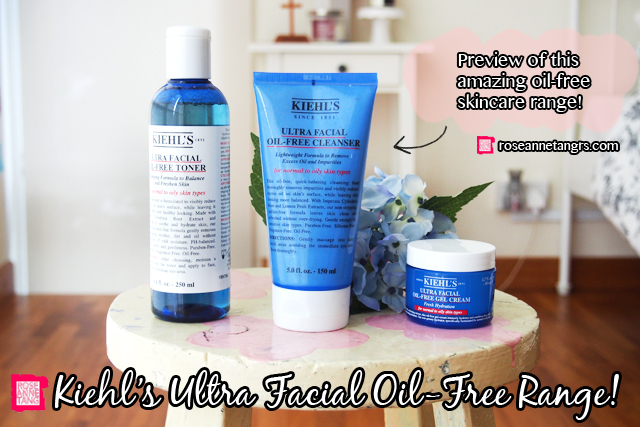 These last few days, I have had the pleasure of trying out the brand new Kiehl’s Ultra Facial Oil-Free Skincare range! It will be out in June 2014 on Singapore shores and so far, it really is working for me in the oil control department. I thought I would share more about this range with you especially if you are an oily skin sufferer like me. I always end up looking like a disco ball at the end of a long day but I have seen improvement with this range in my oil production. I am also surprised at how fast I could see results. 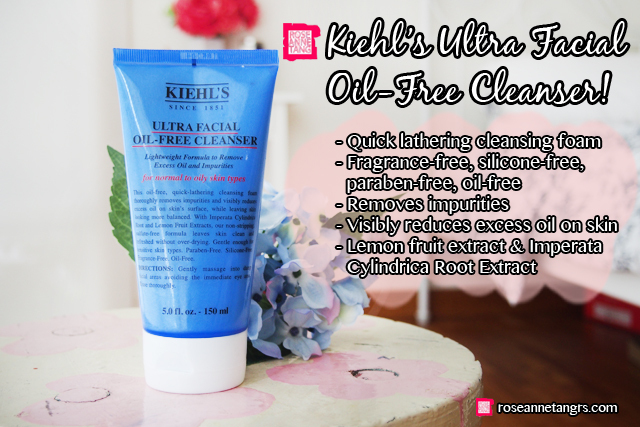 The first star of the show is the Kiehl’s Ultra Facial Oil-Free Cleanser (SGD $43, 150ml). What is amazing about this range I feel is that it is not only fragrance free, it’s oil-free, silicone-free, sulfate-free and paraben-free. If you have sensitive skin, this is a dream skin care range and is great for people like me who are very prone to breaking out. I really like how it’s taken the effort to be free of all these potentially irritating characteristics. This cleanser is armed with two active ingredients – the Imperata Cylindrica Root Extract that helps skin store and retain moisture – even in the driest weather conditions. This plant actually thrives in super dry environments in the Australian Outback and it also has high concentrations of potassium. The cleanser also contains Lemon Fruit Extract that has astringent and antiseptic qualities that help freshen and stimulate sluggish skin. The cleanser is a quick-foaming cleanser and to be honest, you really only need just a little to do the trick. I usually use my clarisonic with this because it makes for a better cleanse but if you use your hands regularly – just add a little water to the palm and foam up with fingers first before massaging it into your skin. After rinsing, my skin feels extremely clean which I really like. I found that the cleanser foams up really well, even if you can’t see in the picture below. 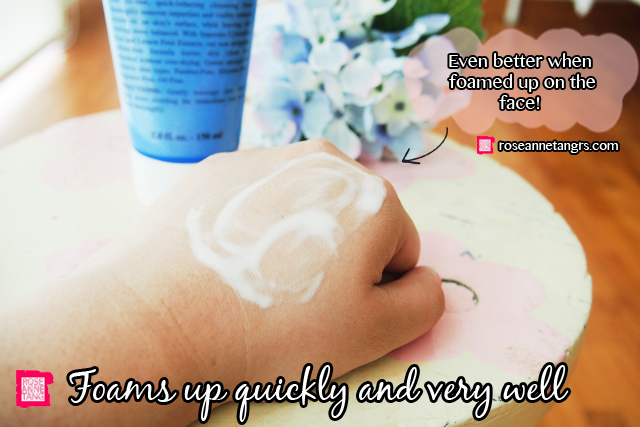 Hey, it’s really hard to foam up something on the top of your hand. 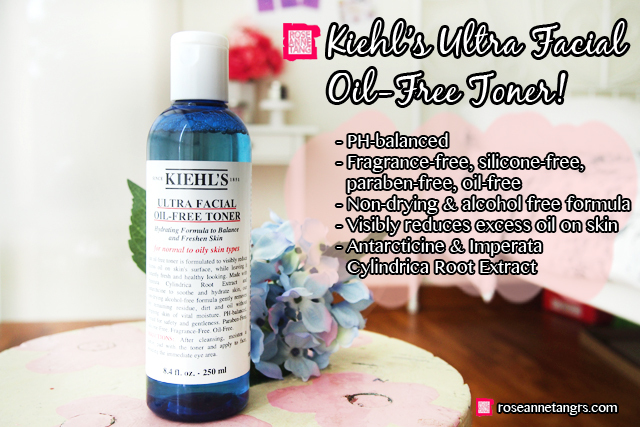 Next is the Ultra Facial Oil-Free Toner (SGD $43, 150ml)! This toner helps to balance PH levels on your skin that is super important and again is oil-free, fragrance-free, alcohol-free, silicone-free and paraben-free! I like how it’s an alcohol-free formula so it doesn’t irritate sensitive skin. In addition to the Imperata Cylindrica Root Extract, the toner contains an ingredient called Antarcticine which is sourced from Antartica! It is a glycol-protein that provides superb protection against dryness and helps to give a smoother appearance while shielding skin from the damaging effects of free-radicals. The toner is an off-white color. 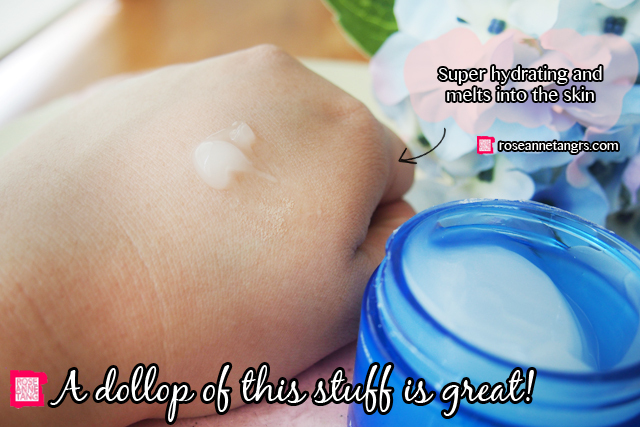 You should use it with a cotton pad and swipe all over the face but I don’t use cotton much so I actually use it on the palm of my hands and pat it into the skin. The cotton pad method does however remove excess make-up but I integrate the clarisonic in my skincare routine so I don’t really have to worry about that. My skin feels refreshed after I use the toner. I find this product so cool because people with oily skin are always confused whether to moisturise or not. Some people say that the oily skin produces enough oil to moisturise itself and some people say that you need one because that’s exactly what the skin is compensating for. Now we finally have a moisturiser that is perfect for oily skin – for me, it is super lightweight, absorbs super fast and doesn’t feel like anything. In fact it makes your skin feel a lot smoother if anything. There is certainly no residue that comes after this moisturiser. I love the texture, it’s like an airy and light weight gel. 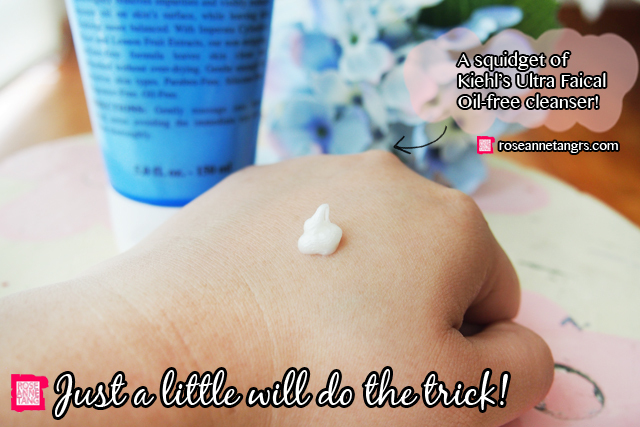 I just use my fingers and apply it onto my skin, spreading upwards in a lifting motion. Seriously the moisturiser just disappears like lightning but you can feel that your skin is drinking it up. I don’t like moisturisers that have an after-feel and this one seriously doesn’t feel like anything after. I love it, it’s amazing. I know it seems short, but I tried the range for five days and I seriously saw noticeable differences in my skin. I was for sure less oily. I found that I didn’t need to touch-up throughout the day as much and I felt like my skin was more balanced. I didn’t experience any breakouts from using this either which is groovy! Overall, if you have oily skin, this is a really good skincare range to consider trying! 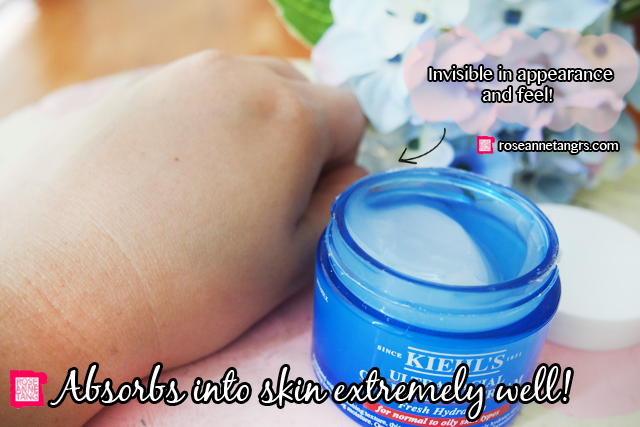 I have also collaborated with Kiehl’s to provide this special promotion to you! 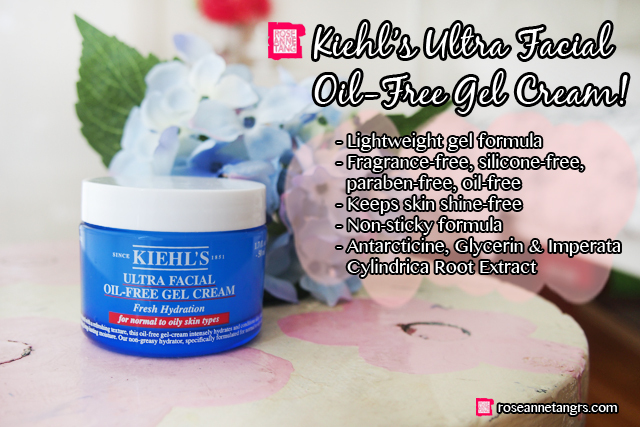 If you want to try this range, 1st 100 readers to quote “Roseanne” at any Kiehl’s store will receive a NEW Ultra Facial Oil-Free Gel Cream Fresh Hydration travel deluxe (7ml)! Valid from 7-30 June. Hope you like it as much as I do! Review: 13rushes Makeup Brushes – The Best Brushes EVER! Tangspiration: They Just Don't Get It. Sponsored Haul: Erno Laszlo – The stuff Marilyn Monroe, Audrey Hepburn, and Jackie Kennedy used! Want Glowing Skin of Korean Stars? Leaders Clinic InSolution Mask Haul! I'm VanityTrove's Online Ambassador & What's inside January's VanityTrove!! Hi Roseanne! My question is of no relevance to your post, but can you advise on the best way to apply undereye concealer? Dapping with fingers, buffing it, or swiping it with a flat brush? Thank you!